Recent reports and studies have shown an increase in food-related allergies, with many people now experiencing allergic reactions to peanuts, tree nuts, wheat, milk, eggs, soy, fish and shellfish. 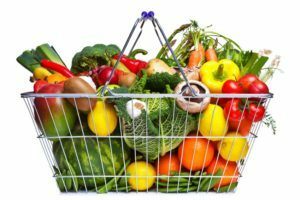 Food allergies involve our body’s immune system, and because 70% of our immune system is found in the digestive tract, the foods that we eat and the chemicals they contain can have a significant impact on our health. When the digestive tract and immune system aren’t functioning well we become vulnerable to a host of disorders, including allergies. WHAT’S MESSING WITH OUR IMMUNE SYSTEM? 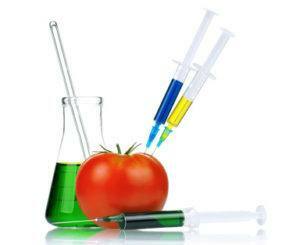 Genetically modified (GM) foods are created when bacteria, viruses and other genes are artificially inserted into the DNA of foods such as soy, corn, cottonseed and canola plants. They are often unlabelled and can carry the risk of triggering life-threatening allergic reactions. 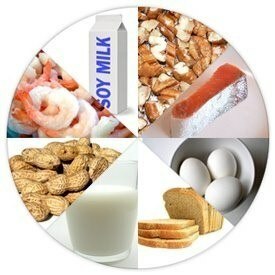 Imported genes produce a new protein in the food which the body may respond to through an allergic reaction. A study in the UK in 1999 revealed an alarming increase in allergic reactions to soy over the period of one year, not long after GM soy had entered the UK from the US. A spokesman for the York Laboratory, John Graham, expressed his concerns about the findings stating, “We believe this raises serious new questions about the safety of GM foods”. 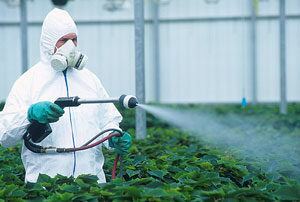 Pesticides and herbicides have been linked to allergic reactions. Many symptoms identified in the UK soy allergy study are among those associated with exposure to the herbicide glyphosate, as glyphosate (also known as Roundup) is heavily used on GM soy crops, among many others. Symptoms of glyphosate exposure include nausea, headaches, lethargy, skin rashes, and burning or itchy skin. A study of over 2500 people identified a link between chemical byproducts of pesticides called dichlorophenols and people with food allergies. Participants who had high levels of dichlorophenols in their urine were more likely to have an allergy to milk, eggs, peanuts, or shrimp. It has been suggested that dichlorophenols don’t actually cause food allergies, but rather destroy good bacteria and therefore weaken our immune systems, making us more susceptible to allergies. Hormone-like compounds found in pesticides, plastics and personal care products can increase our immune system’s sensitivity and heighten our body’s reaction to allergens. Common chemicals such as triclosan, an antibacterial chemical used in toothpaste and other personal care products, and bisphenol-A (BPA), used in plastics and the linings of food cans, could be interfering with our immune systems. HOW DO WE AVOID THESE? Eat organic. Organic foods are not allowed to contain GM ingredients, so choosing to eat organic produce is the best way to avoid GM foods. 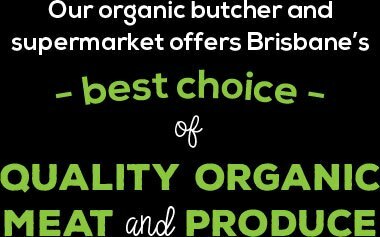 Organic foods are also grown without the use of pesticides or herbicides. Choose grass-fed organic meats as these come from animals that are given no antibiotics or growth hormones, and they haven’t been raised on GM grains. Read labels on self care products and source those with the most natural ingredients, organic if possible. Many products, from shampoos to cosmetics, are chemical cocktails and there are now numerous healthier alternatives on the market. Avoid storing and heating food in plastic containers, and purchase a BPA-free water bottle. Glass containers for food storage are ideal.